HEALING IS A GOD THING! �Science is demonstrating that the greatest therapy for healing, anti-aging, and longevity may be inside of you right now (your inner pharmacy). Learning about this God given inner pharmacy and how to use it is part of the mission of our Ministry. Sickness, disease, and personal dysfunctions are all the result of the spiritual war being waged by the evil one against all of God�s creation. Whether we like it or not, we are at war and we are being physically attacked every moment of our life by environmental forces (pollutants, metals etc.) and microorganisms (germs, viruses, bacteria, yeast, and fungus). 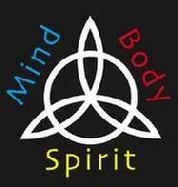 REST is dedicated to working with men, women, and youth of FAITH to assist them develop the knowledge and skills, as spiritual warriors, to become proactive and aggressive in order to militantly attack and defeat the forces of evil warring in their bodies. This we believe to be the will of God! Our Health & Healing Center is the second stop on Your virtual Healing experience/journey. This oasis is here for you to visit whenever you need spiritual-based encouragement or assurances from God. The material, videos etc have been selected and appropriately placed to systematically expose you to sources of strength from many medias. It's purpose is to assist you by first focusing your attention on the belief that healing begins in the Mind through the word and love of God. 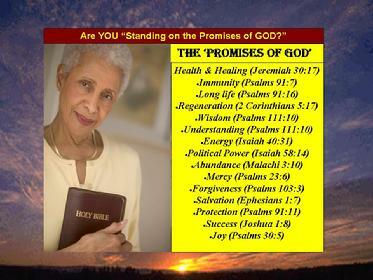 Please review the healing promises of God we've listed. (You will need them throughout your healing journey. 2) Music Video reminder of the Healing Love of God, Denise Williams. 3) Musical nature-based video with affirmations - The Secret is You! 6) "I CAN CHANGE!" music video with imbeded metaphors directed at strenthening your personal resolve to be healed. Enjoy the experience and PRAISE GOD! YOU CAN CHANGE - WITH THE HELP & POWER OF GOD! WE ARE PRAYING THAT YOUR EDU-THERAPY EXPERIENCE HAS BEEN A HEALING ONE. THANK YOU FOR USING THIS MINISTRY!